Well… Summer is definitely upon us! The temperature has gone up considerably, and it is short sleeves all the way from now until November! Outstanding! The completions at Corvera are still happening which is great news. March was very busy, however the “no flights” as a result of the Icelandic volcano certainly slowed things up. Of course it affected our our own business as well, with our own Corvera purchasers not able to travel to Spain after having booked months ago. We are pleased to sat we are back to normal now thank goodness. Phases 3 and 4 at Corvera are still a huge topic of discussion and we are busy assisting clients who are looking for independent advice concerning the best way to proceed. One such couple are Shauneen McMullan and her partner Liam from Belfast who have decided to swap their deposit and purchase a phase 2 property. They are absolutely delighted. With our help they will be the proud owners of their fabulous new apartment at Corvera within just a few weeks, they were even busy selecting furniture prior to enjoying a couple of days at the beach. Many congratulations on securing a fabulous apartment. I was very lucky last week to be invited for a game of golf by Corvera owner Carl Copeland from Dublin. Carl and myself were joined by Roda Golf owner Colin Frost from Kent for a truly international “Stableford” match. The golf course was fantastic, the views just superb, however the greens were a little slow and the “back 9” holes were closed for maintenance, so we played the “front 9” twice. It is my sad duty to announce that the Englishmen won after playing some superb golf. Carl came in second playing some very consistent golf and “yours truly” finished last with some quite indifferent golf being played, got to get more practice in. A great afternoon on the golf course was followed by the obligatory beer and tapas at Miguel’s. A great day, thanks again Carl, looking forward to a return match pretty soon. The golf course is definitely showing signs of maturing and developing and it was encouraging to see plenty of work being done on the golf course. 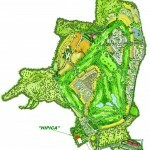 We are also hearing some positive reports about the golf course, and the development in general, which is always nice to hear. Corvera owners John and Petrone Carroll commented only today (May 4th) how the development is everything they were hoping it would be. It was mentioned that the hotel and commercial centre would obviously be the finishing touch and they were looking forward to some news regarding those facilities, but they were very happy anyway, good luck with your golf this week John. Again I have no news about the clubhouse completion date, however we are still being told the end of the year is likely. As previously reported here, the equestrian centre is now open and all contact details are available in the previous update. We are also helping a number of clients with their mortgage applications for their purchase at Corvera. We have our very own in-house mortgage consultant so if anybody needs any help or assistance please do not hesitate to contact us. You can also see a number of the properties completed and furnished and ready for rental here: www.calidainternationalrentals.co.uk or click on “Corvera Rentals” on this page. We have Tilo style, Laurel style, and I am now pleased to report we have some Menta style apartments ready. They all look great, so if you are looking for a property to rent at Corvera Golf and Country Club, please just look at our great selection and drop us an e-mail. I hope you enjoy this latest little report and photos. 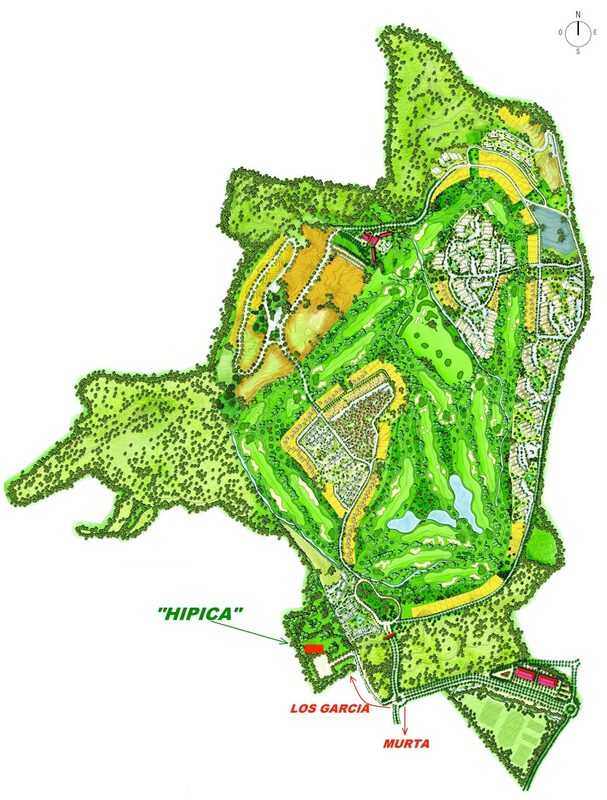 Here’s some fantastic news from Corvera Golf and Country Club – The Riding Centre (“Hipica”) is now open! Riding in the stunning Sierra de Carrascoy mountains, which flank the Corvera developement, is sure to be a special experience, and with the experts on hand at the purpose built equestrian centre your dream could now become a reality! Classes are with the school’s horses and with private horses for all levels (beginners, intermediate and advanced). It’s possible to mount the horse with or without a teacher depending on the experience of the rider. As well depending on the riders preparation level there will be a possibility to make some field trips outside of the parade area.